This beautiful Mori Lee Bridesmaid style 21552 will be great for any wedding! This a-line dress features a high neck and really unique ruffle cold shoulder details! The back of the dress has a cute strappy open back. 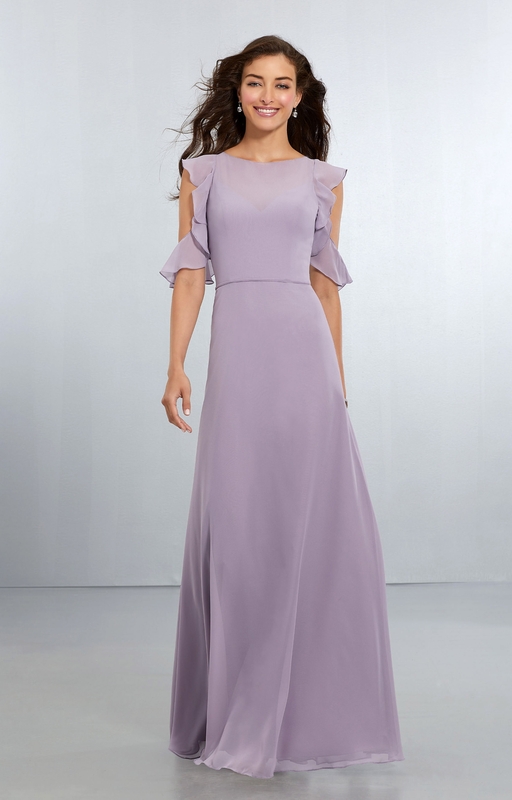 The dress is a lovely chiffon material that will be sure to flow perfectly down the aisle!